Our membership for the year runs from 1 September 2017 till 31 August 2018. Membership fees exclude the running of lights when playing socially outside club organised events. Juniors have the choice of 2 days coaching per week incorporated into membership fees. See the ‘juniors’ page for more info. Social Tennis is currently played every Thursday Night weather permitting all year round from 6.30 to 8.30pm. Our Club Captain organises play using the board. Tennis balls for social tennis are provided. ALL Senior members are encouraged to come along and participate. The Club night is also open to juniors who play Senior Interclub. 20 minute matches are organised and are a combination of mixed doubles, men's doubles, and women's doubles. Alternatively you can grab a gate card, join with a group of friends and come down whenever you like! Tennis NZ Affiliation Levy and the Tennis Auckland Affiliation Levy. 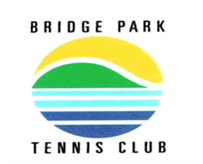 Bridge Park Tennis Club has to pay this for each member playing at the club. These fees range from $30 to $45 depending on your age. Coaching balls and resources used during coaching.